Presented by The Australian Network for Art and Technology (ANAT) and the Australian Synchrotron in association with the Australian Government through the Australia Council for the Arts, its arts funding and advisory body. 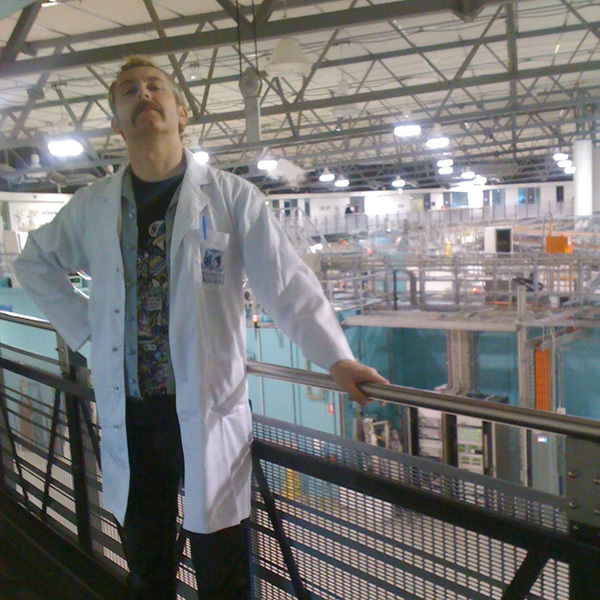 In 2007, artist Chris Henschke completed a residency at the Australian Synchrotron, supported by Arts Victoria’s Innovation Residency program and ANAT. Following this, he continued to build his understanding of the facility and strengthened his relationships with the resident scientists, a process that has informed this project. ‘Lightbridge’ aims to create an audio-visual interface to explore the nature of the synchrotron’s ‘tune’ – what scientists call the complex frequency harmonics generated from the synchrotron’s beam status and position data – and to make this real-time data available to other artists and researchers.